Meronem IV is presented as a sterile white powder containing meropenem 500 mg or 1g as the trihydrate blended with anhydrous sodium carbonate for constitution. Meronem IV injection contains 208 mg sodium carbonate for each gram of meropenem (anhydrous potency). For each gram of meropenem (anhydrous potency) the vial contains 90 mg (3.9 mmol) of sodium. Powder for solution for intravenous injection or infusion. Meronem IV is indicated for treatment, in adults and children, of the following infections caused by single or multiple bacteria sensitive to meropenem. – Empiric treatment, for presumed infections in adult patients with febrile neutropenia, used as monotherapy or in combination with anti-viral or anti-fungal agents. Meronem has proved efficacious alone or in combination with other antimic bial agents in the treatment of polymicrobial infections. There is no experience in paediatric patients with neutropenia or primary or secondary immunodeficiency. 500 mg IV every 8 hours in the treatment of pneumonia, UTI, gynaecological infections such as endometritis, skin and skin structure infections. 1 g IV every 8 hours in the treatment of nosocomial pneumonias, peritonitis, presumed infections in neutropenic patients, septicaemia. In meningitis the recommended dosage is 2 g every 8 hours. As with other antibiotics, particular caution is recommended in using meropenem as monotherapy in critically ill patients with known or suspected Pseudomonas aeruginosa lower respiratory tract infection. Regular sensitivity testing is recommended when treating Pseudomonas aeruginosa infection. Dosage should be reduced in patients with creatinine clearance less than 51 ml/min, as scheduled below. effective plasma concentrations. There is no experience with the use of Meronem in patients under peritoneal dialysis. No dosage adjustment is necessary in patients with hepatic insufficiency (see” Special warnings and precautions for use”). No dosage adjustment is required for the elderly with normal renal function or eatinine clearance values above 50 ml/min. In meningitis the recommended dose is 40 mg/kg every 8 hours. concentration of 50 mg/ml. Constituted solutions are clear, and colourless or pale yellow. Meronem IV for intravenous infusion may be constituted with compatible infusion fluids (50 to 200 ml) (see “Incompatibilities and Special precautions for storage”). 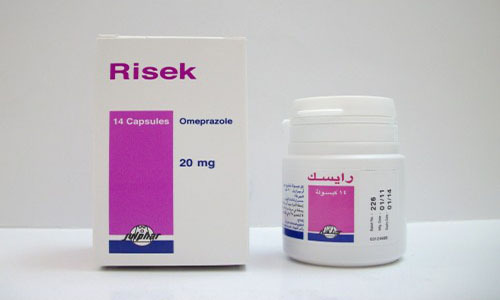 Meronem is contraindicated in patients who have demonstrated hypersensitivity to this product. There is some clinical and laboratory evidence of partial cross-allergenicity between other carbapenems and beta-Iactam antibiotics, penicillins and cephalosporins. As with all betalactam antibiotics, rare hypersensitivity reactions have been reported (see “Undesirable effects”). Before initiating therapy with meropenem, careful inquiry should be made concerning previous hypersensitivity reactions to beta-Iactam antibiotics. Meronem should be used with caution in patients with such a history. If an allergic reaction to meropenem occurs, the drug should be discontinued and appropriate measures taken. Use of Meronem in patients with hepatic disease should be made with careful monitoring of transaminase and bilirubin levels. As with other antibiotics, overgrowth of non-susceptible organisms may occur and, therefore, continuous monitoring of each patient is necessary. Use in infections caused by methicillin resistant staphylococci is not recommended. Rarely, pseudomembranous colitis has been reported on Meronem as with practically all antibiotics and may vary in severity from slight to life-threatening. Therefore, antibiotics should be prescribed with care for individuals with a history of gastr intestinal complaints, particularly colitis. It is important to consider the diagnosis of pseudomembranous colitis in the case of patients who develop diarrhoea in association with the use of Meronem. Although studies indicate that a toxin produced by Clostridium difficile is one of the main causes of antibiotic-associated colitis, other causes should be considered. Efficacy and tolerability in infants under 3 months old have not been established; therefore, Meronem is not recommended for use below this age. There is no experience in children with altered hepatic or renal function. Probenecid competes with meropenem for active tubular secretion and thus inhibits the renal excretion, with the effect of increasing the elimination half-life and plasma concentration of meropenem. As the potency and duration of action of Meronem dosed without probenecid are adequate, the co-administration of probenecid with Meronem is not recommended. The potential effect of Meronem on the protein binding of other drugs or metabolism has not been studied. The protein binding of Meronem is low (approximately 2%) and, therefore, no interactions with other compounds based on displacement from plasma proteins would be expected. Meronem may reduce serum valproic acid levels. Subtherapeutic levels may be reached in some patients. 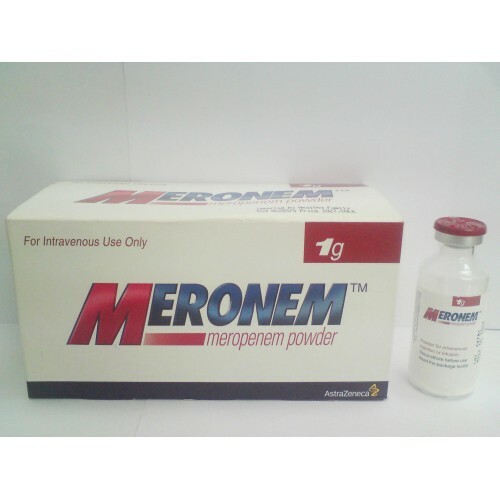 Meronem has been administered concomitantly with other medications without adverse pharmacological interactions. However, no specific data regarding potential drug interactions is available (apart from probenecid as mentioned above). The safety of Meronem in human pregnancy has not been evaluated. Animal studies have not shown any adverse effect on the developing foetus. The only adverse effect observed in animal reproductive studies was an increased incidence of abortions in monkeys at 13 times the expected exposure in man. Meronem should not be used in pregnancy unless the potential benefit justifies the potential risk to the foetus. In every case, it should be used under the direct supervision of the physician. Meropenem is detectable at very low concentrations in animal breast milk. Meronem should not be used in breast-feeding women unless the potential benefit justifies the potential risk to the baby. No data is available, but it is not anticipated that Meronem will affect the ability to drive and use machines. section. Treatment of overdosage should be symptomatic. In normal individuals rapid renal elimination will occur; in subjects with renal impairment, haemodialysis will remove meropenem and its metabolite. A single setof meropenem susceptibility criteria are recommended based on pharmacokinetics and correlation of clinical and microbiological outcomes with zone diameter and minimum inhibitory concentrations (MIC) of the infecting organisms. Vibrio parahaemolyticus, Vibrio vulnificus, Yersinia enterocofitica. Peptostreptococcus magnus, Peptostreptococcus prevotii, Propionibacterium acnes, Propionibacterium avidum, Propionibacterium granulosum. Stenotrophomonas maltophilia, Enterococcus faecium and methicillin-resistant staphylococci have been found to be resistant to meropenem. A 30 minute intravenous infusion of a single dose of Meronem in healthy volunteers results in peak plasma levels of approximately 11 mg/ml for the 250 mg dose, 23 mg/ml for the 500 mg dose and 49 mg/ml for the 1 9 dose. However, there is no absolute pharmacokinetic proportionality with the administered dose both as regards Cmax and AUC.Furthermore, a reduction in plasma clearance from 287 to 205 ml/min for the range of dosage 250 mg to 2 9 has been observed. A 5 minute intravenous bolus injection of Meronem in healthy volunteers results in peak plasma levels of approximately 52 ~g/ml for the 500 mg dose and 112 ~glml for the 1 g dose. Intravenous infusions of 1 9 over 2 minutes, 3 minutes and 5 minutes were compared in a three-way crossover trial. These durations of infusion resulted in peak plasma levels of 110,91 and 94 mg/ml, respectively. After an IV dose of 500 mg, plasma levels of meropenem decline to values of 1 ~g/ml or less, 6 hours after administration. When multiple doses are administered at 8 hourly intervals to subjects with normal renal function, accumulation of meropenem does not occur. In subjects with normal renal function, meropenem’s elimination half-life is approximately 1 hour. Plasma protein binding of meropenem is approximately 2%. similar to those in adults. The elimination half-life for meropenem was approximately 1.5 to 2.3 hours in children under the age of 2 years and the pharmacokinetics are linear over the dose range of 10 to 40 mg/kg. Pharmacokinetic studies in patients with renal insufficiency have shown the plasma clearance of meropenem correlates with creatinine clearance. Dosage adjustments are necessary in subjects with renal impairment. Pharmacokinetic studies in the elderly have shown a reduction in plasma clearance of meropenem, which correlated with age-associated reduction in creatinine clearance. Pharmacokinetic studies in patients with liver disease have shown no effects of liver disease on the pharmacokinetics of meropenem. Animal studies indicate that meropenem is well tolerated by the kidney. In animal studies meropenem has shown nephrotoxic effects, only at high dose levels (500 mg/kg). Effects on the CNS; convulsions in rats and vomiting in dogs, were seen only at high doses (>2000 mg/kg). For an IV dose the LDso in rodents is greater than 2000 mg/kg. In repeat dose studies (up to 6 months) only minor effects were seen including a small decrease in red cell parameters and an increase in liver weight in dogs treated with doses of 500 mg/kg. There was no evidence of mutagenic potential in the 5 tests conducted and no evidence of reproductive and teratogenic toxicity in studies at the highest possible doses in rats and monkeys; the no effect dose level of a (small) reduction in F1 body weight in rat was 120 mg/kg. There was an increased incidence of abortions at 500 mg/kg in a preliminary study in monkeys. Meronem for IV injection and infusion includes the excipient anhydrous sodium carbonate. Meronem should not be mixed with or added to other drugs. Mannitol 2.5% or 10% solution. It is recommended to use freshly prepared solutions of Meronem for IV injection and infusion. Reconstituted product, constituted as described above, should be used immediately and must be stored for no longer than 24 hours under refrigeration, only if necessary. Refer to” Posology and method of administration” above. Standard aseptic technique should be employed during constitution. Shake constituted solution before use. All vials are for single use only. Cheshire, SK10 2NA. United Kingdom.